Flax, an annual species, was once an important crop in Northern Ireland, but is now hardly grown. Flax seed is occasionally included in amenity or “wildflower” seed mixtures which are used to establish vegetation on bare soil on new roadside verges, closed rubbish dumps and the like. 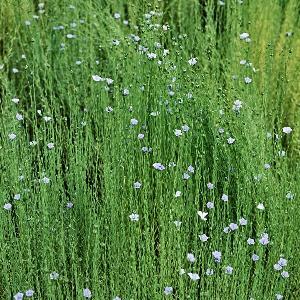 The colonies of flax plants which result do not persist more than a few seasons. All names: Linum usitatissimum L.